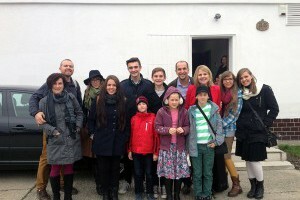 TCKompas | Blog | Another fusion in Bratislava? 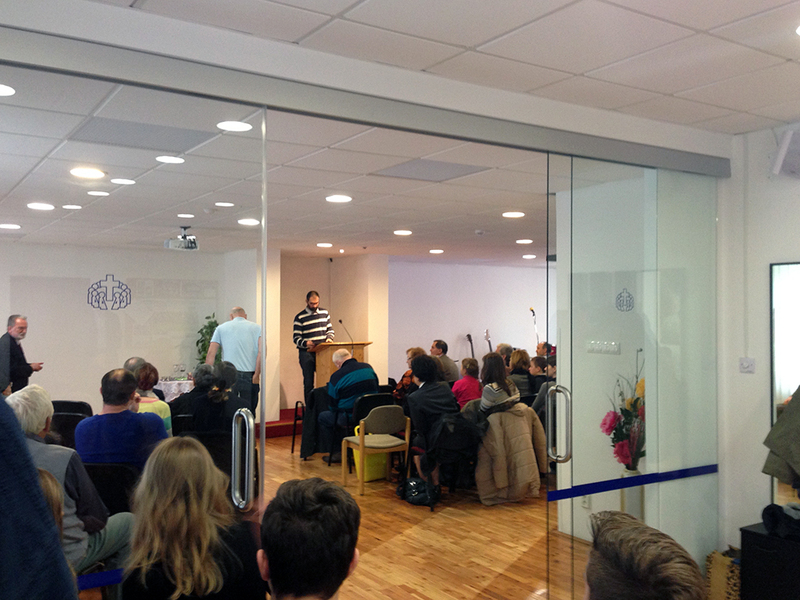 On Sunday, November 23rd our Fusion visited the Christian churches fellowship in Raca (Bratislava’s urban section). 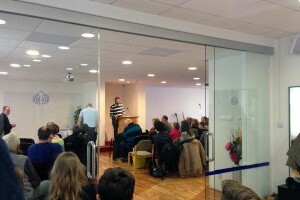 We had a great opportunity just as in Drienovska Nova Ves to present the Fusion ministry in front of the whole church. Ministry that focuses on reaching out to young generation in their neighbourhood through music and other forms of art. We started with thanking our Savior. After this precious time of worship Draho led us into the Bible where Jesus is sending out his disciples to make new/more disciples. He talked about our natural human fear that often comes with this kind of challenge. On the other hand our decision despite of fear to get out of the boat and obediently walk toward Jesus’ calling results in a great joy! Besides the message we drew a big picture of what Fusion ministry looks like and what it takes to run it. To prepare a nice presentation is one thing. The other thing is when part of that presentation are real living people What a joy listening to Miriam as she shared how serving in Fusion draws her closer to God or how she realizes that this kind of sacrifice is worth it! 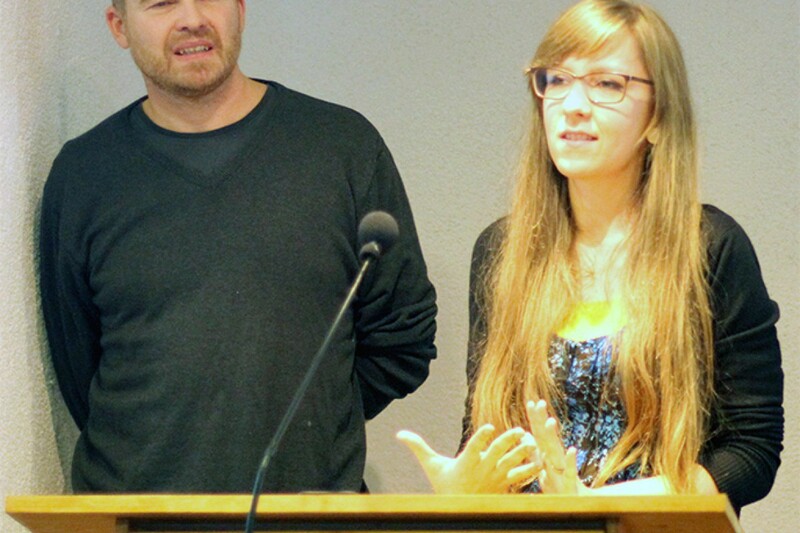 I am super thankful for Marek and Viki (students whom we serve) and their explanation of their own experience of being in Fusion. Based on questions from church members we could see that this church is ready, praying and seeking how they could best approach and serve their community and share the gospel. And that’s what really matters! We are looking forward to working together with them and for the fruit - changed lives and growht of the kingdom!